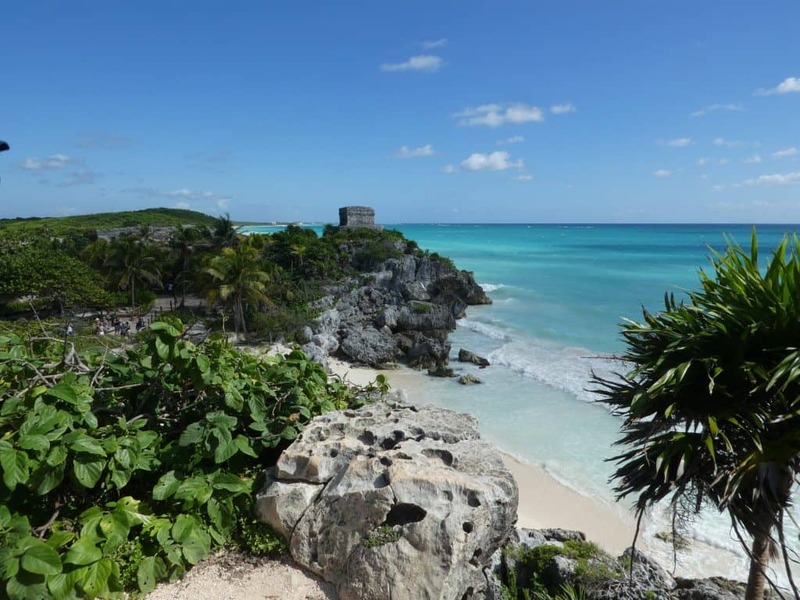 Tulum, Mexico is the home of the Tulum Mayan Ruins on the east coast of the Yucatán Peninsula overlooking the Caribbean sea. This archaeological site is the 3rd most visited site in Mexico. Back in the day this was a major shipping port from around 1200 AD until the arrival of the Spanish. Tulúm is also the Yucatan Mayan word for fence, wall or trench. This is fitting since the ancient city of Tulum is surrounded by a fence. It’s this fence surrounding the city that makes Tulum unique. Most Mayan cities had no fence. Most people appeared to have lived outside of the wall and the part inside the wall was for religious activity and leaders. 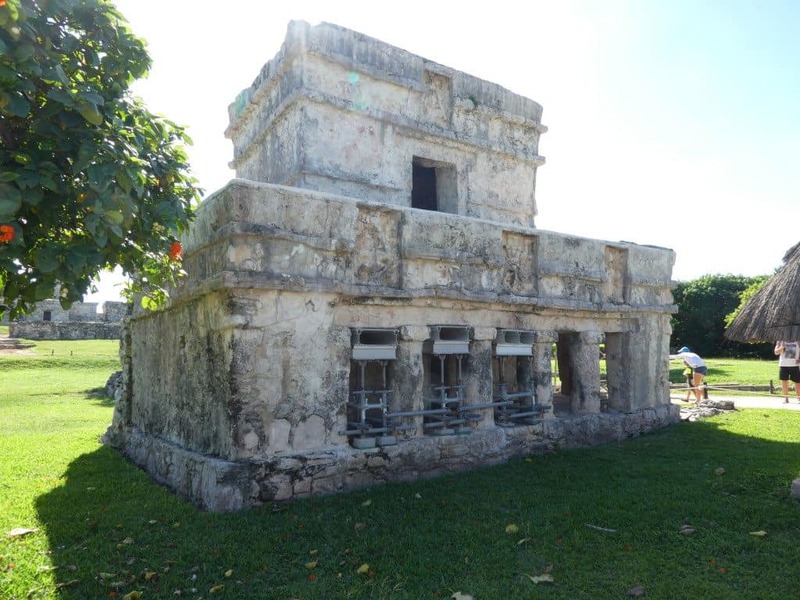 I had the chance to visit the Mayan ruins of Tulum, Mexico when I was in Cancun for the 2016 Gnational Gnomad Summit with Travelocity. 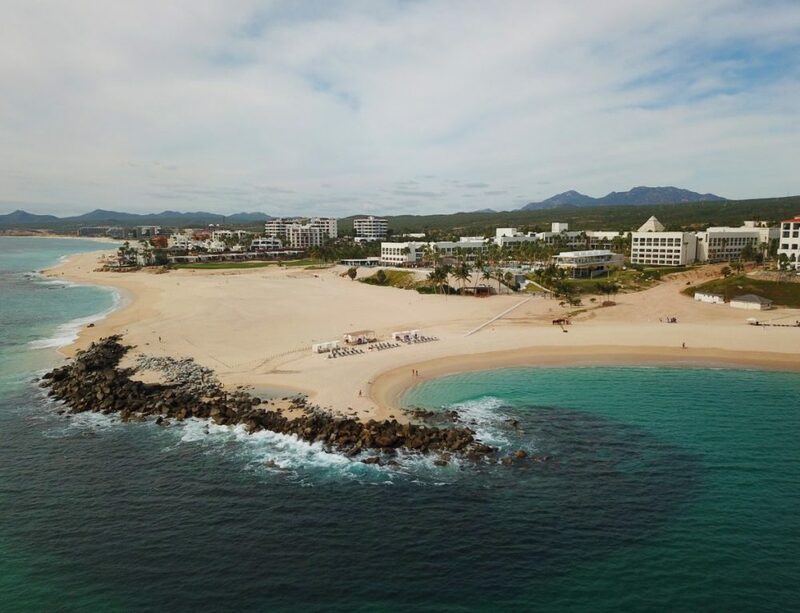 While we were there we stayed at the Live Aqua Cancun resort, so it was a bit of a drive to get to this walled city of Mayan ruins (80 miles, 1 hour 10 minutes). 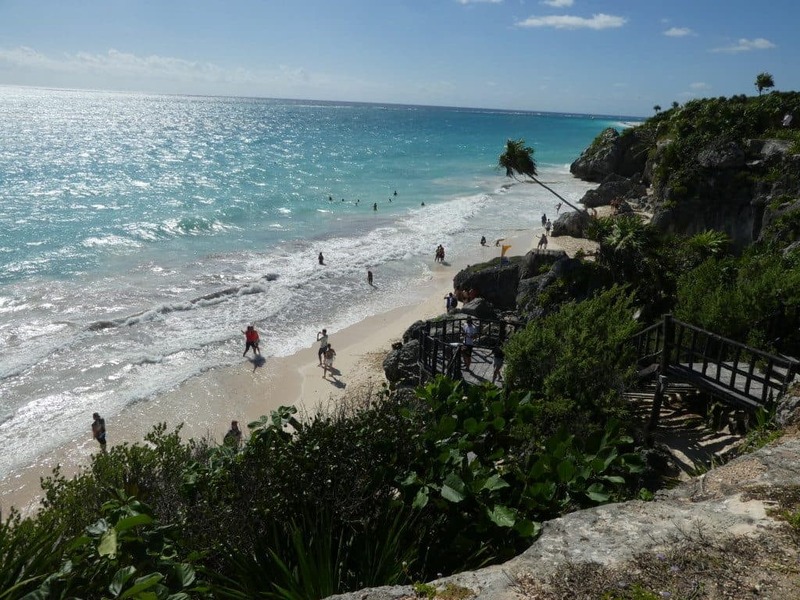 Tulum is an easy day trip from both Cancun and Playa del Carmen. Much closer than going to the more famous archaeological site, Chichen Itza. The fee to visit is between $35-40 pesos. If you drive yourself there is a $30 pesos parking fee. 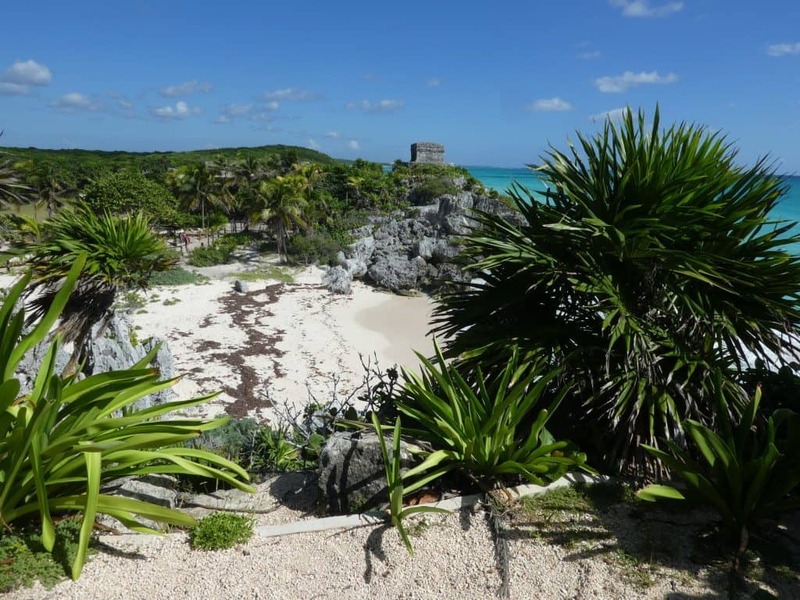 The Tulum ruins are open from 8 a.m. to 5 p.m. Go in the morning or late in the day to avoid crowds. I highly recommend wearing sunscreen and a hat. 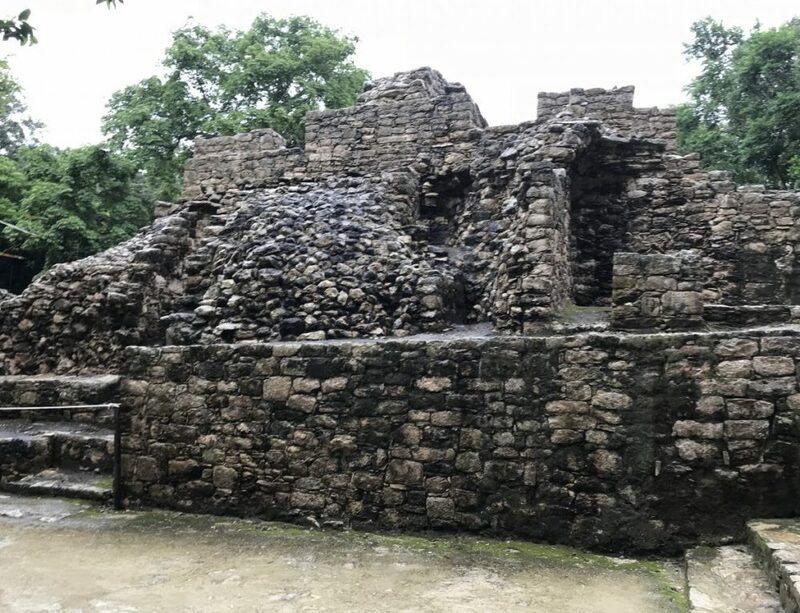 These ruins are not as extensive as the Copan Ruins in Honduras or the nearby neighboring city of Coba Ruins we visited several years ago, but they were still fantastic. Here and around the area were once home to upwards of 600 -1600 Mayans depending on the year. Disease from the Spanish killed off much of their population. Temple of the Frescoes is the first picture at the top of this blog post. When I went through my photos and researched more this was the only structure I was able to clearly identify. The Temple of the Frescoes, was used as an observatory for tracking the movements of the sun. It contains interesting 13th-century frescoes, but people are not allowed inside. Descending God aka the Diving God is the main god honored at Tulum. It is depicted on several buildings as an upside-down figure above doorways. Next time I go I will plan on hanging out at the beach. For some reason I thought their beaches were not open to the public, but one of them is and one of them is not. 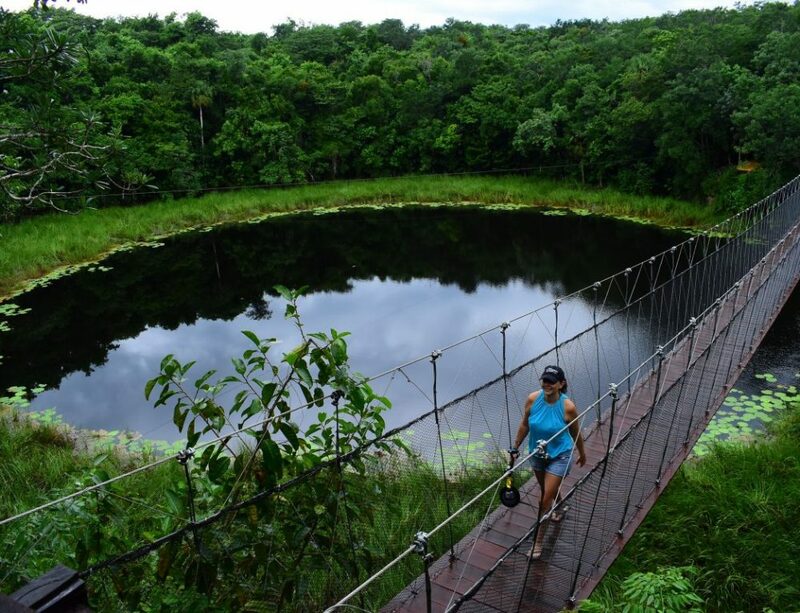 After we got done touring the ruins we went to the nearby Gran Cenote. To go on a similar tour, check out this one through Travelocity. 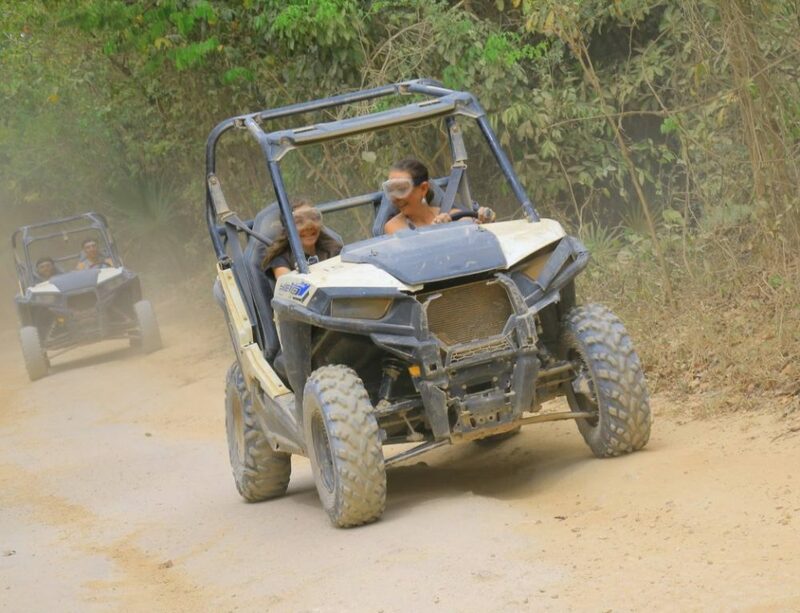 For more ideas on what to do when visiting this area, check out my post on Travelocity about fun things to do in Cancun and if you are looking for more ruins check out this post on Mayan Ruins in Mexico.